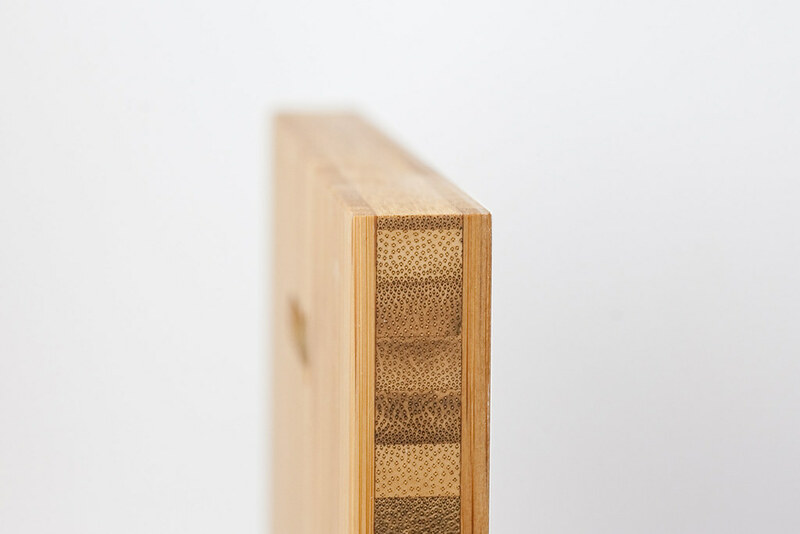 A quick perusal of the tags on this blog will show that we talk a lot about bamboo and its place in our eco-conscious design. 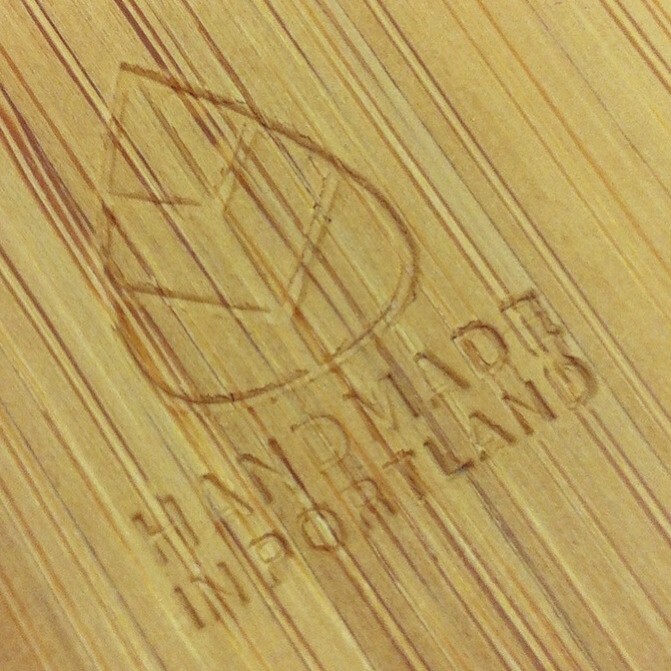 You may have wondered how a product made from wood could possibly be eco-friendly. Aren't environmentalists supposed to save trees, not cut them down? Many of you may have already known that bamboo is a grass, not a tree. If you're like me, though, that fact can be hard to keep in mind when dealing with panels of solid bamboo plywood. There is something conceptually counterintuitive about a grass being used in a similar manner to hard woods. Bamboo is a worthy building material despite being a grass because it has a surprisingly high tensile strength, splits straight, and has a strong cross section. Just look at those strong fibers! It may be sturdier and harder than its fellow grasses, but harvesting bamboo is in many ways more like mowing the lawn than deforestation. Like the grass of a rugby field, bamboo will regrow from roots and so doesn't need to be replanted. Trees die when chopped down, but bamboo just sends up new chutes. I can assure you that bamboo is hardy. I once was part of a restoration project trying to remove all plant species not native to Oregon from a watershed area. A tiny patch of bamboo had roots so tough that we broke pick axes trying to cut and pry them out. If we hadn't brought in serious power tools, the bamboo would have recovered at a remarkable rate. Bamboo is one of the world's fastest growing plants. In optimal conditions, some varieties can grow almost four feet in a twenty-four hour period. The more common rate of four inches a day is still impressive, and is plenty to make bamboo an eminently sustainable resource. Bamboo only requires 3-7 years to be mature enough to harvest, as opposed to 20 years for even most quick growing trees. The leaf represents all the trees we're saving by using a rapidly replenishing grass instead. Hmm... or maybe it's bird footprints in a teardrop. The world may never know. The traits that make bamboo a royal pain of a weed if it is somewhere unwanted are the same traits that make it a fantastic resource to grow on purpose. Bamboo's resilience and rapid growth rate (as well as its aesthetic qualities) are why we love bamboo as much as our beloved gerbil, Pepper. Plywerk is proud to offer a quality product that has a minimal impact on the environment, and we hope you'll be just as pleased to display our responsibly produced bamboo art panels in your home. Some people say we may even be too excited about bamboo. This is obviously nonsense propaganda spread by people who don't understand the importance of the awesomely renewable plant. This entry was posted in Eco-Conscious and tagged Bamboo, Bamboo art panels, eco-conscious, eco-friendly, green design on July 26, 2013 by admin.
" Working on the Plywerk was really enjoyable, they hold paint excellently. I used gouache, watercolor and some casein in both of the pieces. For this piece I assumed I would need multiple coats of gesso, as on other wood panels. However I came to find that, because of the quality of the wood and the smoothness of the surface, the areas where I painted directly on the board worked even better, so I omitted the gesso altogether on the bamboo piece. The quality I found to be most striking about using the plywerks is that they make the work glow. I'm not sure how this happens, it must be magic, but they glow! The texture of the wood grains adds so much to my work, and especially when I put down flat areas of color, the wood really brings those spaces to life. The color of the boards is great for what I'm doing, it serves as a perfect midtone and highlights show up really well. I also love the fact that they are ready to hang and there is no need for a frame, its become my favorite surface to paint on and I will definitely use them again for ideas I already have brewing - I cant wait to see what working with oil paint will be like on a plywerk!" I love the idea that Plywerk makes art "glow!" 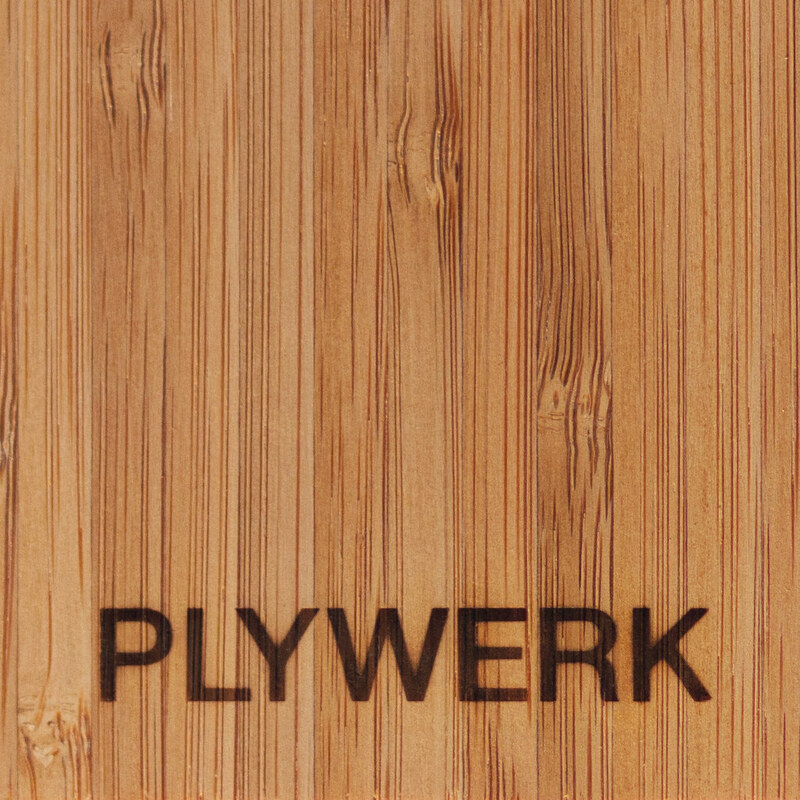 The quality of the bamboo really does make Plywerk a special medium to work with. We talk a big game about our photo-mounted panels (and for good reason), but a Plywerk is fundamentally an art panel and a platform for every kind of visual creativity - a place to hang your ideas. What Liliya does with our product is one of my personal favorite uses. I have passed along samples of our wood to friends of mine who also make visual art and they've all raved about how much fun it was to work with. We would love to see more examples of Plywerk used in unique, creative ways. If you have any pictures or stories, please share them with us! This entry was posted in Photo Panels, Uncategorized and tagged artist, bamboo art panel, Liliya Drubetskaya, painting, plywerk art on July 22, 2013 by admin. This cupcake looks delicious. Hey Self, do you know what would be better than a cupcake,? Lots of cupcakes! For President's Day 2009, the Smithsonian used 5,900 cupcakes as if they were pixels to display photo-realistic portraits of Presidents Obama and Lincoln. 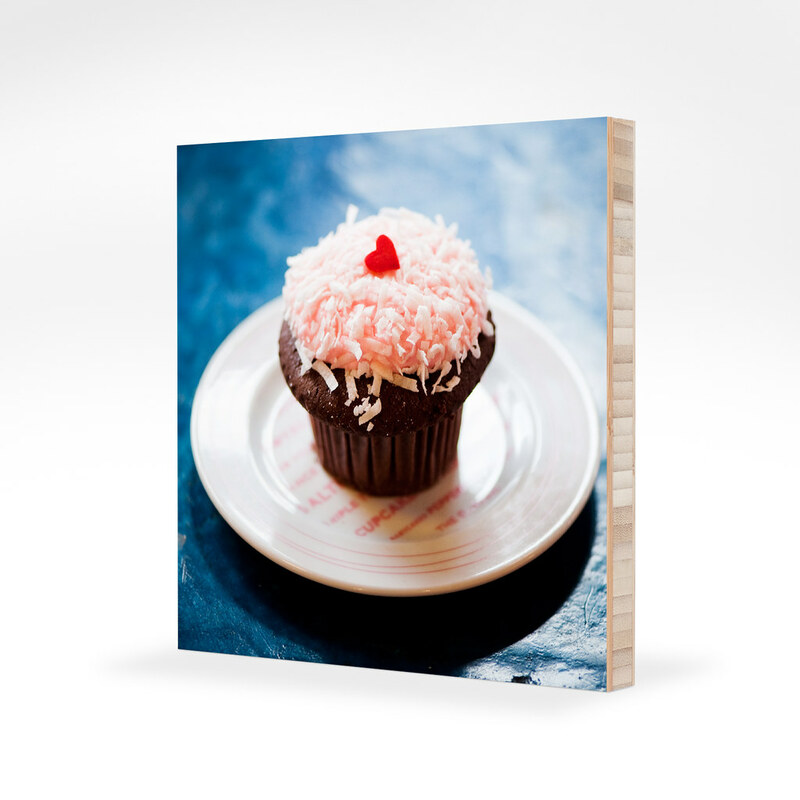 Hey, maybe we could make a mosaic where each tile was a Plywerk panel whose print was a picture of a cupcake! 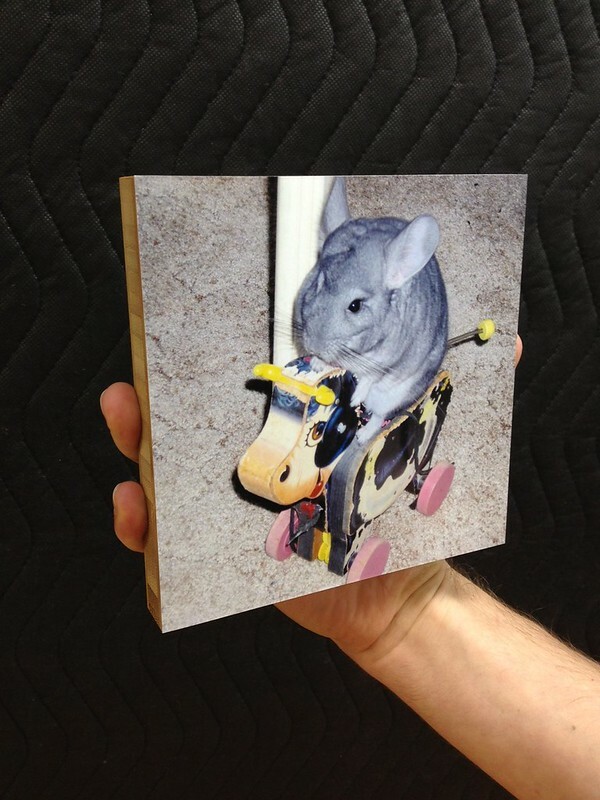 I hope the photographers can coordinate their cupcake pictures such that we collect just the right shades to form an image of a chinchilla riding a toy cow. That chinchilla is adorable. I always hear David Attenborough's voice when I think about unusual animals: Chinchillas are crepuscular rodents native to the Andes Mountains of South America. That would be such a weird sleep schedule. I guess if I were crepuscular I'd see a lot of sunrises and sunsets, though. Other crepuscular animals include ocelots, red pandas, prosimians, quoll, wombats, and capybaras. Animals may have adapted crepuscular behavior to avoid thermal stress while still enjoying the benefits of sunlight. 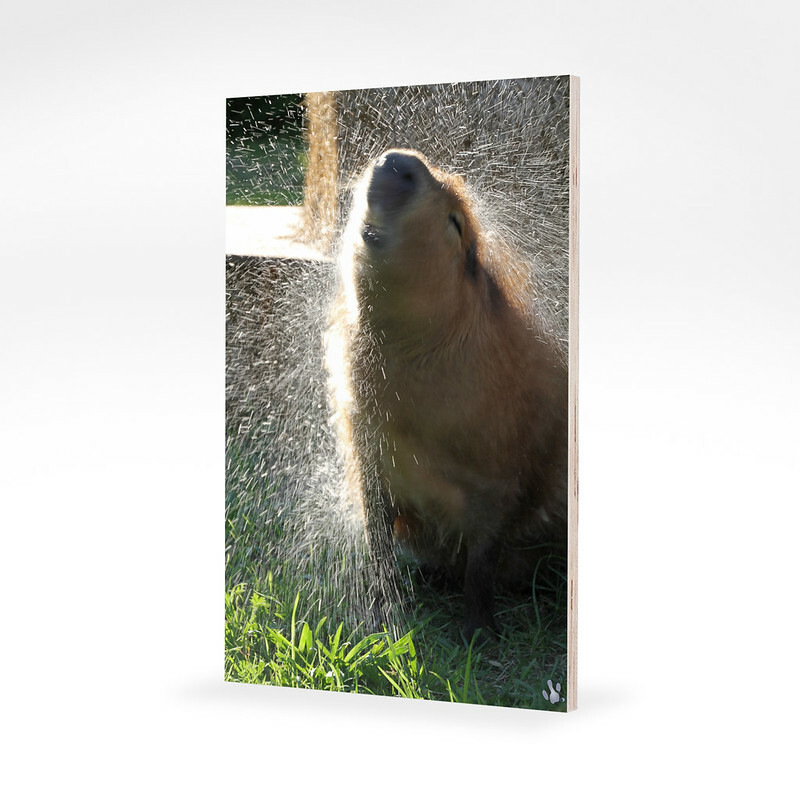 This capybara is beating the heat with a quick bath, in addition to its sleeping habits. Humans also seem to have picked up the behaviors of increasing activity at dusk and submerging themselves in water in summer. It is hypothesized that these habits are in order for the humans to avoid stress – thermal and otherwise. 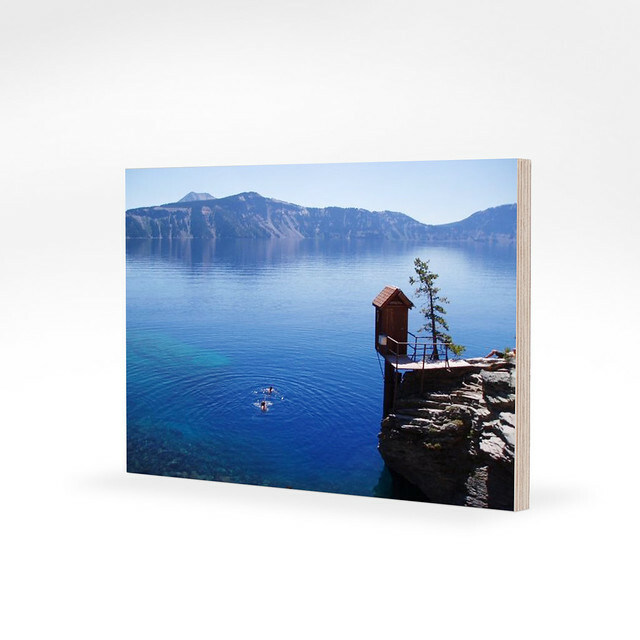 Human submersion behaviors have also been observed by photographers at Crater Lake, Oregon. The clear dark-blue water fills the caldera of a collapsed volcano to form the deepest lake in the United States. I wish Wizard Island in Crater Laker were named because it was home to a wizard, but I'm pretty sure that it's because the conical shape resembles a wizard's hat. Oh well. We hope you continue to send in your excellent summer photos so that we may continue to have amusing inner monologues about them as we prepare the prints of those photos to be displayed in your home. 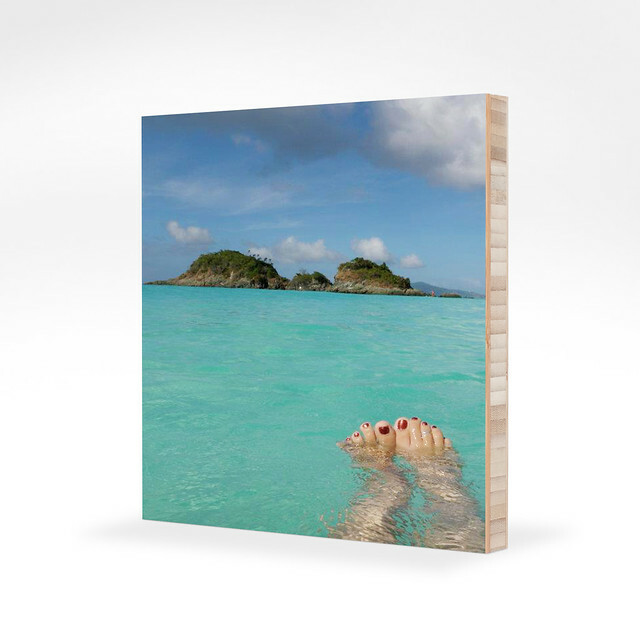 This entry was posted in Photo Mounting, Photo Panels, Plywerk In Action and tagged Bamboo art panels, photography, travel photography on July 19, 2013 by admin. Spring has sprung! And grads are springing out of the classroom and into the world. 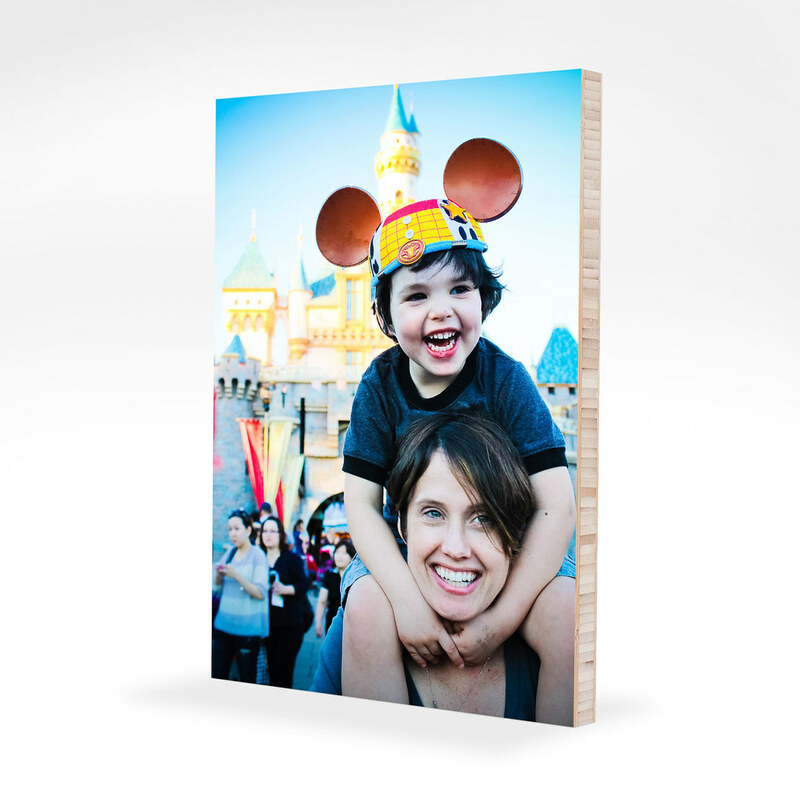 Whether your grads are leaving behind high school, college, or obedience school, you're sure to have tons of great pictures you want to pass on to friends and family in a unique, eco-friendly way. This is where we suggest Plywerk, and list our reasons! Have you ever held a Plywerk? If you have, you know that besides sporting a smooth sanded finish, those little guys are pretty tough. If you pass a mounted Plywerk on to your grad to live in their dorm and remind them to call you once in a while, you can be sure it will survive party after par - uh, I mean late-night study session after late-night study session. Kids these days are pretty concerned with fashion and appearances, completely unlike the generations of young people who have gone before them. I know my mother feels like she has a hard time pinning down my style, and if you sympathize with her, Plywerk would be a great gift idea for your grad. The edge-to-edge mounting ensures that a Plywerk will visually mesh with any home or dorm decor and look just as cool as any Rolling Stones or Dave Matthews Band poster. If yours is a college grad, they may still be living that low budget college life, sustaining themselves on top ramen and stealing toilet paper from work. They could probably use some nice things to help them feel a little more refined. Plywerk is a quality product with the added bonus of being attractive! More useful than a Faberge egg, and more practical than a 1969 Mustang, Plywerk adds a little class to whatever environment it's in. Grads leaving home for the first time could find themselves missin' the old family life from time to time, yearning for a little piece of home. I certainly did, and I didn't even leave the state! When you can't invite them over for free laundry and a home-cooked meal, they can gaze at a Plywerk you so lovingly purchased for them sporting a photo of a family pet, or their favorite vacation memory, or the awesome home office you made out of their old room. They're sure to thank you for it. This entry was posted in Holiday Gifts, Photo Mounting, Photo Panels, Summer and tagged bamboo photo mounting, graduation, graduation present, photo mounting, Plywerk on July 15, 2013 by admin. This year the Plywerkers celebrated a very Portland Fourth of July. As always, our day began before dawn with a coffee fix. After each acquiring fresh roasted coffee from a different locally owned coffeehouse, we mounted up for a quick 60 mile bike ride out to Mt. Hood to watch the sunrise. After soaking in the beautiful view, we rushed back for brunch. Along the way we stopped by the houses of our friends who keep farm animals in their yards so we could pick up eggs and goat's milk. Brunch was cooked at the Plywerk kitchen and enjoyed on the warehouse docks where we eat lunch most days. Once we'd thoroughly stuffed ourselves, we split into three teams for a rousing game of capture the flag using the emblems of all the nations that Plywerk Founder and CEO Kjell van Zoen calls home. Team America won, but I have a sneaking suspicion it may have been rigged, especially since Team The Netherlands won on King's Day last April 27th, and Team United Kingdom won on June 5th's Diamond Jubilee celebration for Queen Elizabeth II. The afternoon consisted of guerrilla knitting dozens of bike rack and lamp post cozies with the Stars and Stripes pattern to line a parade route, and then marching in the parade. We performed obscure indie rock b-side songs (you haven't heard of them) adapted to an all ukelele band. We know it's common now, but we were playing ukes before it was cool. This is us eating our tofu hotdogs... at the waterfront... outside... umm, moving on. Our next stop was the waterfront. We put an Uncle Sam hat on the Vera Katz statue on the riverfront's eponymous esplanade and set up some grills. We had a barbecue of tofu hotdogs, kale, and polenta, paired with a variety of Portland microbrews. Once we had composted the fruit peels and otherwise cleaned up, we looped sparklers into the curls of our magnificent mustaches and started setting up for the fireworks display. The city puts on a pyrotechnic extravaganza, but we have a strong Do It Yourself streak, so we handcrafted our own fireworks from organic, locally sourced, gluten free, free-range, and sustainable magnesium, strontium, and barium oxide. Our socially and environmentally responsible explosions in the sky were a perfect end to the day. Then we went to Disneyland. Yep, that definitely actually happened in real life. We hope your Fourth was just as awesome and twice as plausible! This entry was posted in Behind the Scenes, Beyond Plywerk, Eco-Conscious and tagged 4th of July, bikes, holidays, portland, Summer, the plywerkers on July 12, 2013 by admin. Welcome to the latest installment of Better Know a Plywerker! This month meet Andrew, one of our expert Studio Werkers. In addition to adhoosing, mounting photos, trimming prints, doing quality control checks, and packaging and shipping the finished Plywerk art panels, Andrew also logs how many miles the Werkers ride their bikes between their homes and the Plywerk headquarters each month, making him our official Viscount of Bike-Mile-Tallying, a title that I definitely did not just make up. 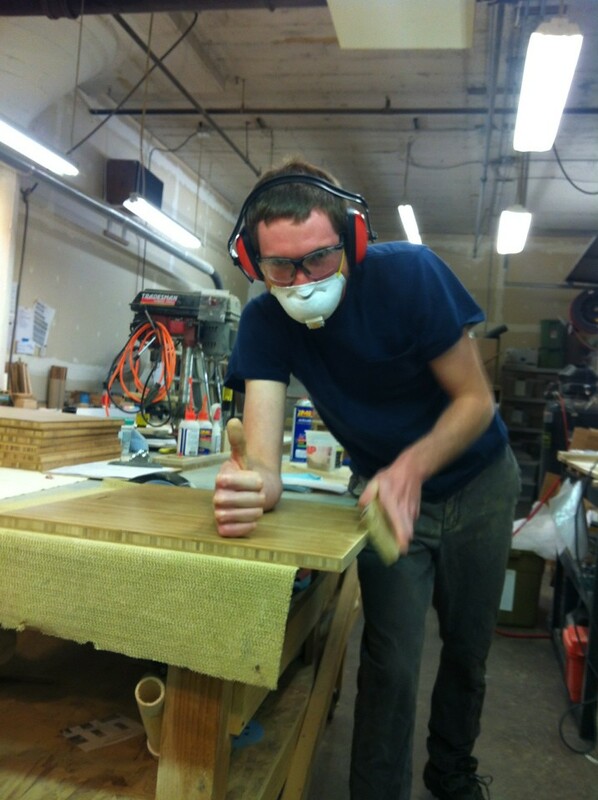 Andrew even jumps in to help out in the wood shop on occasion. My favorite reptile would have to be a worm lizard. A space suite made out of old boxes, aluminum foil, and a vacuum hose. but he did come as Banandrew on Halloween. The idea that life could exist on other planets without the help of basic “known” elements of life is really mind-blowing to me. Tell us a bit about your own photography. What settings and themes have you most enjoyed shooting, and do you have any goals for your future projects? I have considered myself a street photographer for 5 years. Which means I go out into the world and try to photograph from my own prospective. This mostly involves documenting objects and studying the human figure. As for my work in the future, I am moving into a studio setting that will allow me to manipulate my ideas even more. I love working with my hands and different mediums and this will allow me to do that. They look a lot like my hands actually. Other than what they actually look like, my day is pretty relaxed. I work on the line making Plywerk look good and converse with my co-workers about the news of the world. Here Andrew is seen packing Plywerk in preparation for shipping. If you were the protagonist of a buddy cop movie, who would be your partner? 3 oz of tomato juice, 1 ½ oz Vodka, ½ oz of lemon juice, a dash of Worcestershire sauce, celery salt, ground pepper, hot pepper sauce, celery stalk and any other vegetables. That’s my kind of smoothie! Publish at least one photo book and have a show so Portland can see my work in person. I also started touring on my bike this year. So I want to do more of that as well. There is so much to do. This entry was posted in Behind the Scenes, Plywerk In Action and tagged beyond plywerk, Plywerk Bios, portland, the plywerkers on July 5, 2013 by admin. Although I’m always experimenting with new mediums, my current focus is on pyrography, pastel, and natural pigments. As a medium, pyrography and pigments on wood is much like a tattoo on flesh. The marks burn the wood, chemically changing it’s properties, and the pigments absorb into the wood, dyeing the surface layers. Like tattoos, this seems permanent, but destruction is always an option and atrophy over time is inevitable. I would say there’s a definite vein that runs through my art that expresses the essence of existence to me: impermanence and transformation. Can you describe your technique and procedure of how you create your artwork? I start with a basic idea and collect reference images, or plants and objects from life whenever possible. I don’t really draw out thumbnails or plan anything beforehand, I like to sketch directly on the wood and see where it goes. When I reach something I like, I start burning and sometimes paint simultaneously, then erase or sand off any pencil marks. Final stages include burning in the darkest darks, then painting the highlights and glints, and sealing it all in. How did you get into pyrography and what type of tool do you use to do the actual burning? When I was about 7, my grandparents gave me a woodburning kit. I used to decorate Calabash gourds and hang them as bird-feeders. I loved the look and feel of making these marks and especially the smell of burning wood. Almost two decades later, I bought the same tool (a Wall Lenk woodburner) on a nostalgic whim. A hobby turned into sales and commissions, then last year I upgraded to a Razertip Pyrographic Burner, which is fantastic for details and has temperature control. I still use my old yellow Wall Lenk tool with the standard nib for the bulk of my work though. Where do you find the natural pigments that you work with? Are you limited to specific colors or can you mix them to create a large variety? From the grocery store or my kitchen. I mainly find pigments from spices, fruit skins, onion skins, roots, husks... etc. I’ve experimented with a lot, but lately have narrowed it down to mixing the three primaries (red, yellow, blue) which can produce a wide range of colours. I also use pastels as a powder mixed with water, and mix them in the pigments to get certain colours. The yellow I use is just turmeric and water. The blue I have came from a friend who gave me some indigo powder she brought back from Morocco. Reddish colours are easier to find, I mainly use berry skins and beet peels, mixed with Kanku (the red turmeric powder used in Hindu religious ceremonies). How did you discover your talent for art? Do you have formal training? I always loved drawing and making things, and was lucky to have creative parents who supported and harnessed my passions. I took lessons with local artists and friends of the family, then had the opportunity to attend the Savannah College of Art and Design. There, I discovered the technical side of art and studied animation (digital and stop-motion), and sculpture. To keep soaking up inspiration while exploring this never-ending compulsion to make, and hopefully inspire others along the way. I love the ideals, quality (quirks) and aesthetic of Plywerk. What is your favorite subject matter to create? People, plants, creatures... organic forms. Gene Wilder and Reggie Watts. Bonne Maman - strawberry preserves. The 7th Voyage of Sinbad, The Secret of NIMH, and Jurassic Park. Fay is originally from the island of St. Martin/Maarten and holds an MFA from the Savannah College of Art and Design. She works outside as much as possible, and often finds tiny yellow splatters on her paintings. Almost all of her artwork contains insect poop. Post a comment below and you will automatically be entered in a drawing to win a Fay Helfer print mounted on 3/4″ bamboo Plywerk!!! We’ll select a winner at random at the end of the month so make sure you come back to the blog in early August to see if you won and to check out the new featured artist! We’ll ship it anywhere in the continental US for free. If you win and need it shipped internationally, you’re on the hook for shipping costs. Sorry to be so mean. This entry was posted in Beyond Plywerk, Featured Artists, Photo Mounting and tagged bamboo art panel, digital art, Fay Helfer, prints on wood, pyrography, wood photo mounting on July 1, 2013 by admin.